Blood and water, given and chosen. We are born into a familia that can rarely give us all we require to grow into our full vibrant selves. If I had been told that, I would have saved myself years of resentment and grief, years of trying to squeeze blood from a stone. When I did awaken to this reality, I saw how my life has been filled with people who were my familia de aqua, people who came around when I required a lifeboat to take me to shore. We were born to be raised en comunidad, not in nuclear family silos that breed scarcity and competition. Many spiritual paths understand this and fight to teach this amid the “rugged individualism” of the US culture, seeing relations as a broad notion that signifies connection with all beings. 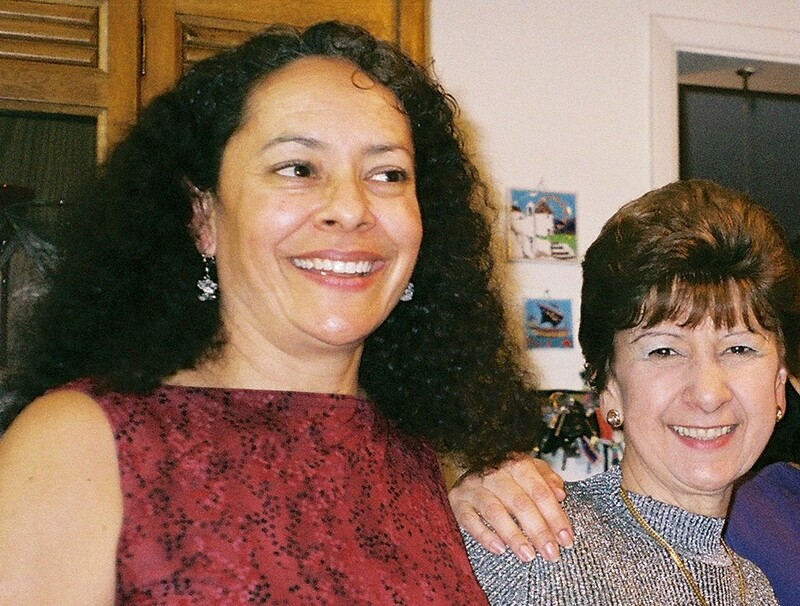 When I was very young, Gloria was the first person that brought water to my parched corazón. She was raised by my mom’s tía and should have been introduced to us as our aunt. My mom didn’t do that so I didn’t realize for years she was my relation, even if not by blood. She struggled under the harsh judgement of my parents, but her indomitable spirit and cariño seeded love in my heart and allowed me to play and feel delight as a little girl and now as a woman. The next water woman to enter my life was Judy, a neighbor who gave me unconditional love in my early teens and for many years to come. Even as her own family struggled through challenges, her unwavering belief in my capacity to succeed and flourish stayed strong. Her twin Jill also bolstered my self confidence when we would all be together. 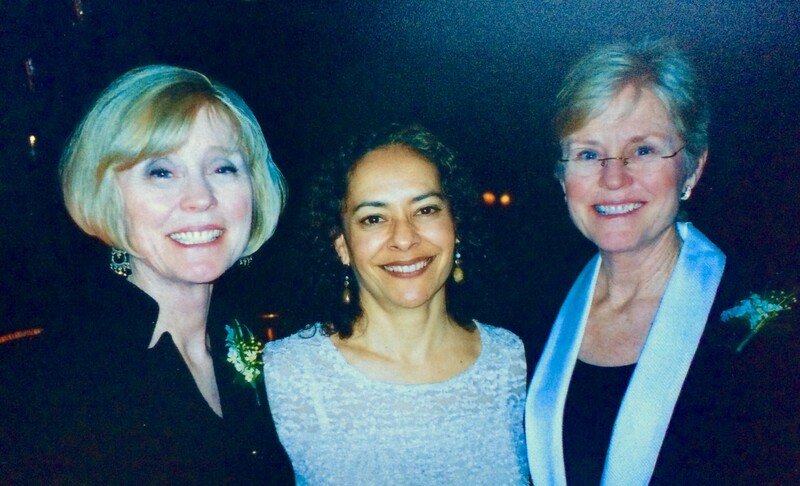 Judy, pictured on the left, would even introduce me as her daughter to people who would give us a funny look. They wondered what she meant, since our closeness in age and difference in color tones did not match those words. I met my buddhist teacher in my early forties and her commitment to my spiritual path set me on a course of fearless intimacy. 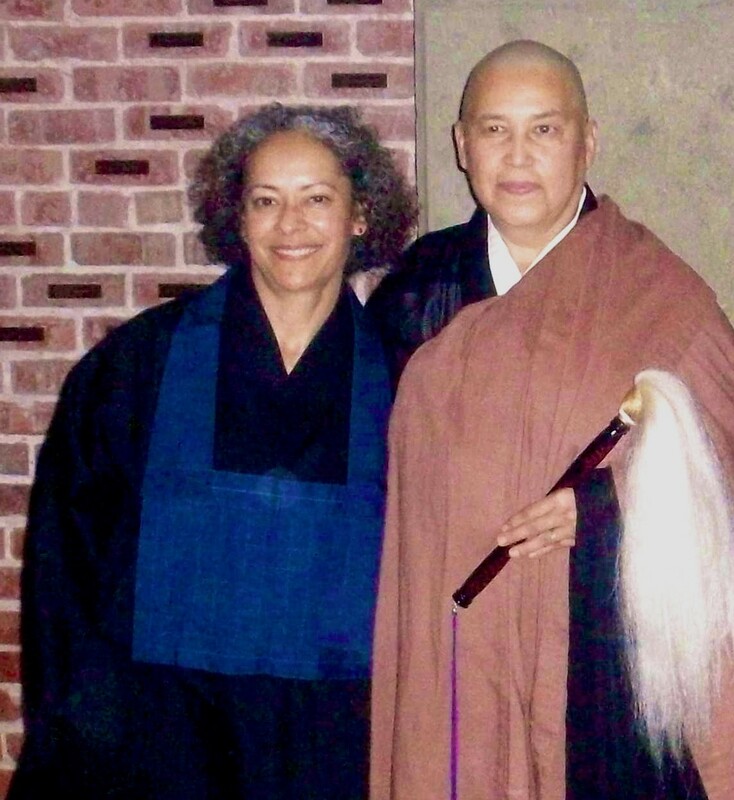 Having been in a spiritual desert for many years, she guided me into the soto zen practice toward freedom with her teachings on dismantling and transforming the enduring legacy of oppression. I eventually vowed to live by the buddhist precepts in a jukai ceremony. Ryūmon Sensei’s voice, teachings, and example light my path every day. 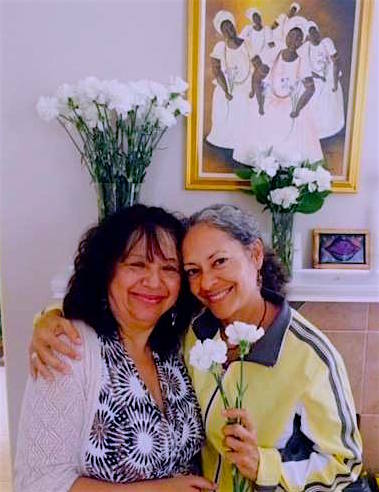 In my mid-forties, as I faced my mother’s impending death, I was directed to Tereza, a holistic curandera who welcomed my exhausted spirit. She infused me with fullhearted power to be at peace when the final breath escaped my mom’s mouth and to keep deepening my wisdom and bravery in the years to come. She still guides my journey and shares hers with me as we walk together as healers and peaceful warriors in a world that asks us to develop and bring forth all our gifts to honor our ancestors. I longed for many years for my mom to be what I was told she would be for me, but once I released that delusion, I could take what she did offer and see her as a human being who did her best. While I could not heal her wounds, my comunidad supported me to heal mine. The practice of accepting what is beneficial and grieving what does not serve my spirit has been of inestimable value in all my relations. Because of this, I understand and practice the essential and necessary act of stepping in with younger people when the present moment asks that of me. It is a blessing to offer to others what their parents and blood relatives cannot. Breaking through unhealthy patterns of isolation is a liberating opportunity to be in our authentic power and nurture that in others. I have highlighted specific individuals, but there have also been groups who have encouraged and validated my path. As a writer, I can name many teachers and readers who share their creative wisdom and fierce determination so I can create my very best.